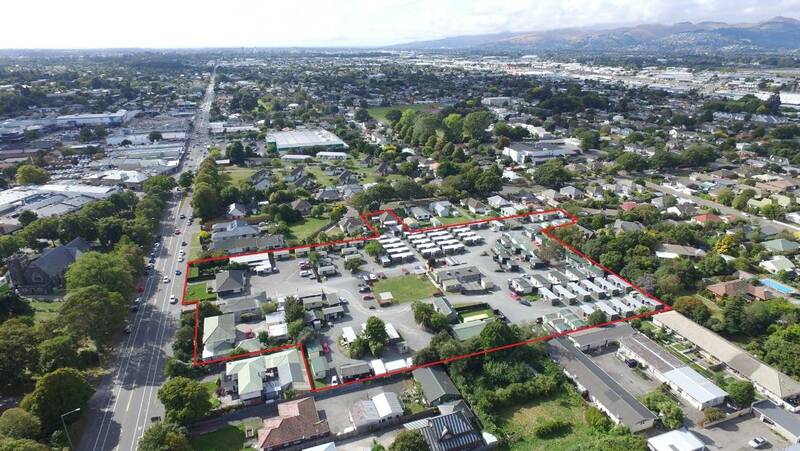 Workotel was established in Upper Riccarton in 2013 as a joint venture between Singaporean company Tee International and Christchurch construction and development company Artmatic Holdings. 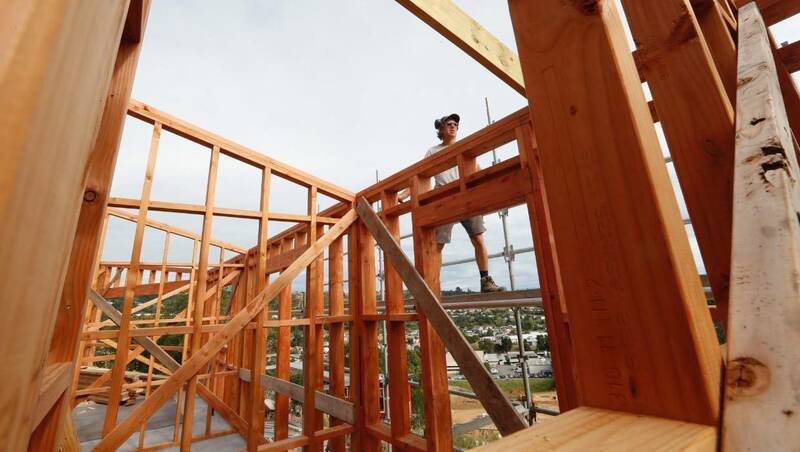 But in this year’s first quarter alone, CBD rents for properties which are mainly apartments jumped 9.69 per cent and rents for two-bedroom places across the entire city are up 4.62 per cent. It’s the perfect house. It has everything inside you could possibly want, and you are absolutely in love. You know without a shadow of a doubt that this is the one, but there’s just one tiny problem that you can’t shake. You can’t change it, you can’t renovate it, and if you buy this house, you’ll be stuck with it forever. It’s plain and simply, just the wrong location. For some people, the location of their new house is at the very top of their search lists. They won’t even look outside a certain radius for multiple reasons. Some of us have kids of school age that we don’t want to pull out and move them to a new school. Others refuse to move far from work or family. But there are those who may look to sacrifice the location of their dreams, for the house of their dreams. For those of you who have found the perfect house, but in the wrong location, there’s plenty of ways to make the most of your new home. Let’s go through some of our favourites. If your location’s aesthetic, safety level and/or undesirable features stay relatively the same for decades to come, you might have a bit of a hard time selling it when it comes to that. To make sure that you have got a home that will sell eventually, make sure you complete a meth residue drug test before you even move in. If anyone asks when you go to sell, you can ensure that the home was cleared from meth residue before you moved in, which is a good selling point especially in a bad neighbourhood. If there aren’t a lot of new houses in your neighbourhood, this is your perfect chance to make your home shine. That way when it comes time to sell, your house will stand out from all the rest by a mile. The exterior will be just as important, if not more important in this circumstance, than the interior. Making a good impression in a bad neighbourhood may help sway a buyer towards considering your home. Think about potential buyers driving through the neighbourhood, perhaps discouraged by the sight of it, and then driving up to your house for sale that’s gleaming with fresh paint and sparkles inside with new appliances. This is vital for selling your home quickly. For the external, make sure the house is freshly painted before you think about selling, and the landscaping is clean, bright and tidy. Hire a landscape designer to help you out if you’re needing a quick revamp to your landscaping. For the interior, brand new appliances are always a huge selling point. Make sure any obvious fixes are fixed, like a broken hinge, a cupboard door that’s hanging off, or cracks in the wall. These seemingly small things that you have lived with for years can be an instant bad impression on a buyer. Use some of these ideas for increasing resale value as well. If the neighbourhood is really bad, you might consider keeping certain valuables, documents, jewelry, etc. out of the house. Think about a container rental or other type of safe place away from your home to keep the most important things. Make sure to install a home security system upon moving in. You might consider CCTV installation at the same time to amp up the safety. Here are some additional tips to burglar-proof your home. The truth is, nothing stays the same, and everything changes whether we want it to or not. Even if you had found your perfect house in your perfect neighbourhood, there’s no guarantee that in 10 years it’s exactly the location you wished for. Some areas of town that started out rough can turn into gems with a bit of city planning and community involvement. You might even consider getting involved in your local city council to see what kind of difference you can make for the future of your neighborhood! It can feel a bit painful to sacrifice your ideal location for the perfect house, but it’s important that you stay optimistic. Perhaps you had to take your child out of their school and away from their friends. To be honest though, children are extremely adaptable and will surely make new friends and barely be fazed by the move within a year or two. That extra 30 or 40 minutes for your commute to work might be frustrating and annoying, but try to not think of it as that. Use that extra time for listening to your favourite music or podcast (try one of these amazing podcasts to get you started). You might even be able to negotiate different work hours or flexible working with your boss, considering your changed circumstances. Be positive about the little things, like how friendly the movers were when you moved in, and how you’ll be able to explore a brand new part of town now. There are hidden gems of restaurants, coffee shops and retail shops all over a city, and you might have stumbled upon a heap of amazing places that you just haven’t discovered yet. Get curious and don’t be afraid to explore. Remember that a bad location isn’t always a bad location for every single person out there. Circumstances change all the time, and while the location can be terrible right now, for you specifically, that doesn’t mean that it’ll always be that way, or that no one will ever buy your home when you sell it. Use these tips to keep your home fresh and updated, be positive about the future, and you’ll start to remember why you purchased this home in the first place – because you fell in love with the house! 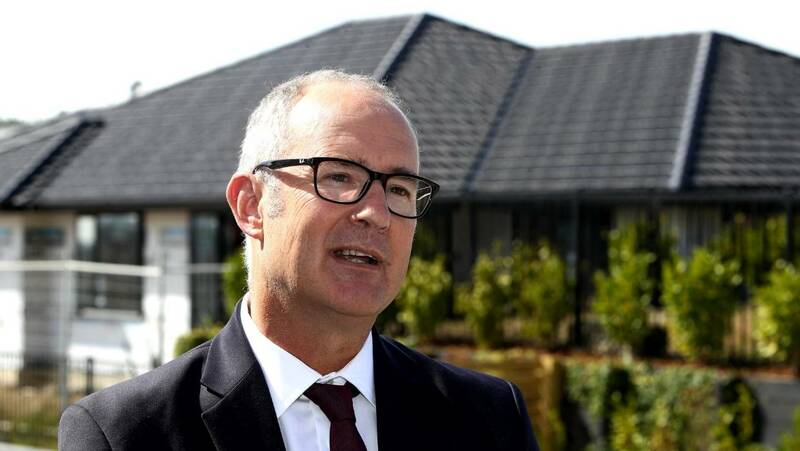 Twyford told Parliament parts of the KiwiBuild plan had not worked as well as expected in the early stages and houses had not been built as fast as planned. Hutt City Council is being forced to redirect more than $19m to top up the budget for The Development Stimulus Package, which was introduced in 2012 to encourage rbuilding projects by not imposing resource consent and building consent fees, development contributions and reserves contributions. 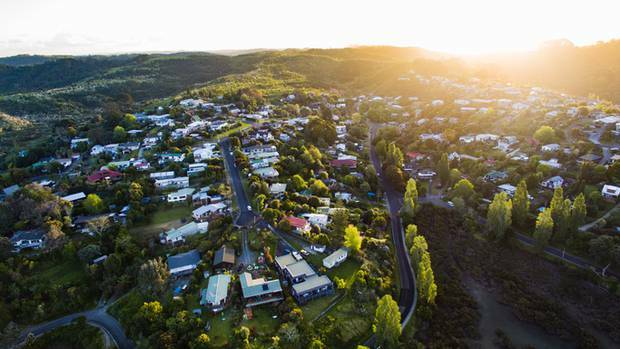 Barfoot sold 474 houses last month, down from 665 in February 2018, the lowest monthly turnover since December 2008, a time when New Zealand’s mezzanine finance sector was in the process of collapsing and the global financial crisis was in full swing. Finding the best tenants for your property can be a daunting task. Although somebody may seem okay initially, it’s impossible to judge what type of tenant they will make. From the tenant’s point of view, they will be looking for a number of attributes in a property that will suit their needs. They will judge your property on a number of aspects which we will cover shortly. For you, as the landlord, here are a number of ways to seek out the ideal tenants. Referencing your tenants can be done in a number of ways. The first way would be to run a criminal background check. Although we hope that any criminal convictions will be spent, the type of convictions or the fact that they have been convicted in the past, may give you an insight in to the type of person you may be dealing with. Secondly you can choose to conduct a personal reference. Personal references can often be sought from a friend of the tenant or an employer. Although referencing may not directly point you to the type of person the tenant is, it will give you snippets of the type of lifestyle the tenant lives and you can then decide if this suits your property or what you are looking for in a tenant. As with any investment, you want to ensure that you have a regular yield. Therefore, it is worth checking a potential tenant’s credit score as you will then be able to see if they will pay the rent on time. This gives you the peace of mind that they are financially secure. It is by no means a guarantee that they will pay, but it does help you to build a background picture of the tenant. It is important that both tenants and landlords follow the rules and regulations that have been set by the local governments. When looking for the ideal tenants, the tenant will also expect to be treated fairly as well, as after all, it is a two-way process. If a tenant feels valued then there is more chance that they will respect your property in the way that you wish for. The rental history of a prospective tenant will show you what type of tenant they have been in the past. Try to look for the reason as to why they are moving house to make sure that they are not just moving from one property to another. Will you allow pets in the property? Does the décor in the property need to remain as it is or can it be changed? Do the ages of any children in the property matter? If so what are your requirements. Have you moved in the last 6 months? What they earn as you need to make sure that they can comfortably afford to pay the rental amount. When you have met a prospective tenant, it is human nature to make an instant judgment. If you get a bad feeling about a tenant then it is prudent to shy away from this tenant. Your basic instincts can often guide you. Again, it may not be a fair way of deciding between tenants and it is still very easy to make a mistake, but your instincts are not often wrong. If you take a look at the outside of a property and it is full of moss and in poor state of repair, it is worth hiring a moss removal treatment company to make sure that the appearance of the property is at its best. The same can be said for the guttering on a property. Gutter cleaning will show a prospective tenant that the property has be properly maintained. You also need to take a look at the doors and the windows of the property. Most of us will get the outside of the windows professionally cleaned but it’s also important to remember that if you have an interior window which has any damage or fogging or is dirty, this needs some attention. As remember a tenant spends most of the time inside the property not outside. Tenants now look for a high level of security within a property. Having window and door locks and alarm system has fast become the norm. If, however you do not have an alarm in your property, getting one fitted is highly advisable. Alarm installation doesn’t have to be costly, but the more advanced that your system is, the more marketable your property will become. Consider add-ons such as panic buttons and alarm monitoring as these will show your tenants that you take security safely. By taking the above advice in to account you can see that there are steps to follow when it comes to selecting the best tenant for your property. If you are considering purchasing a rental property as an investment, then first off, congratulations on this exciting decision! To start, you’ll definitely need to look at property to let and scour local real estate companies. By doing this you’ll start to gain an idea of the type of rental yields that you could generate from your rental purchase. But there are many more aspects to consider before you contact a house lawyer, as you don’t necessarily have to buy a pre-existing property; you could also look for bare land for sale which you could either rent out or develop and put a new dwelling on it. Let’s now take a look at some top tips to consider before you go ahead and purchase a property for rental purposes. – Tax: Make sure you factor in any miscellaneous tax expenses that you may come into. It is worth remembering that rental income will affect your income tax. – Own Household Expenses: Getting a handle on your utilities and household bills is a good way of formulating a strong budget. The less that you incur per month on your own domesticated bills will help you to cover the months where your rental is vacant. Remember you will still have to pay for the utilities at your rental property even when you don’t have tenants. – Debt Clearance: You are still able to purchase a property even if you have debt against your name, but it is much easier if you clear your debts as best as you can. It allows lenders to see that you have a good control of your finances and it will also give you the opportunity to borrow more money at a lower rate. – Be Realistic: Don’t suffer with delusions of grandeur. Be realistic about the amount of money that you can afford to spend on a property. It is far easier to keep within your means and build your portfolio if you keep a cap on your spending. If you spend too much initially, you may struggle to keep up with the payments on those inevitable vacant months. – Getting Approved: Getting approved can be given an increased chance of success if you have a strong case to present. It is very easy to slip into simple traps which could ruin your approval rate. Get advice from industry experts about the best way of achieving your goal. 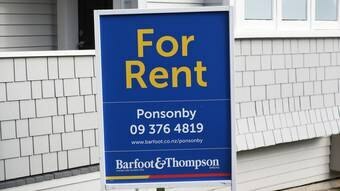 It is worth doing thorough research on where you will purchase your rental property. Don’t get carried away with houses that you like for yourself. Try to buy sensibly and look for properties that will give you maximum yield with minimum investment. Check locally with the rental market and if you have a high percentage of families looking for rentals then properties suitable for families are what you should aim for. The same can be said for professionals, look for apartments, flats and smaller self-contained homes that would suit a professional couple. Look for local amenities, schools, shops, pubs and restaurants which will all appeal to the average family renter. Having poor schools could put off potential tenants if they have school aged children. This is a very important factor to consider. If you are the type of person that is very handy around a home, then an older property could be suited to you as you will be able to keep up with the maintenance yourself. However, if DIY is not your thing, then a new build property with minimum maintenance may be more suitable for you. – Buying For Yourself: It is not uncommon for people to buy a property and then get tenants in for a set amount of time so that they can cover their mortgage costs and make a small amount of profit. – Buying Purely To Rent Out: You may have the intention of renting out the property for the duration of your mortgage term. In turn, this will give you an asset which has been paid for by your tenants. You then have the option to sell your property for a profit or just add the property to your portfolio of rentals. Once you have taken in all of the above aspects into account, you are now ready to complete your purchase. Try to focus on sticking to your budget and making sure that your rental purchase goes through without any hitches. As soon as you have tenants for your property you’ll have to make sure that you keep that property in a good state of repair so that your tenants will enjoy living there and rent for the full rental term. As part of an ongoing budget it is important that you make sure can cover the mortgage payments. In the event of your home being vacant for a length of time, this will give you the peace of mind that you need when renting out property. So before you go ahead and purchase and rental property make sure that you take our top tips into consideration to stay within your budget.